Here is the latest Heroes of the Storm blue action from Twitter and Reddit! We really like how active Heroes of the Storm game director Dustin Browder is on Twitter. He is constantly communicating with the playerbase and, on our part, we make sure to report his most important tweets. A lot of people are eagerly waiting for the first season to start, as well as the grandmaster league and bans to be implemented into the game. These are the top priorities for the developer team, too. However, Dustin said that we are months away from them. Bans are going to be the first of these top priorities, but they are still far. Another concern, that is shared between most of the playerbase, is matchmaking and MMR. Even after the recent matchmaking changes, there are still some issues. Meanwhile, the MMR problems have been a constant headache for both the community, who keeps demanding drastic changes, and the team, who is trying to keep a neutral stance about them. Speaking of MMR, in case you didn't know, Quick Match, Hero League and Team League have separate MMRs. 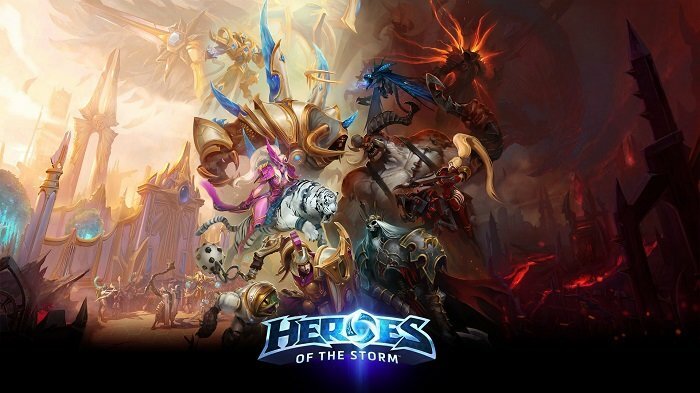 Lastly, after receiving a question on this matter, Dustin said that he doesn't believe an Achievements system would work for Heroes of the Storm. Our final blue post for this article is from Reddit. Community manager Trikslyr replied to a thread about the disparity between Rexxar's talent Birds of Prey and Lunara's talent Nature's Calling. While both talents read: "Increase x's damage by z% to non-Heroic enemies", Rexxar's talent affects minions and mercs, while Lunara's talent works only on buildings. Trikslyr said that the team is working on better tooltips. As these lines are written, Dustin Browder is again active on Twitter, so make sure to check back here at Icy Veins, in case we have something new to report! The matchmaking system in quick match is a little better, atleast we don't get 0 tanks/healers against 1 or 2 tanks/healers anymore, but when it comes to assassins, you can't compare beefy assassins like Thrall or Butcher to squishy ones like jaina and kt. Sometimes there are 3 assassins on each team with no tanks, but Butcher or Thrall with gap close and self heals can win team fights easily. I didn't want to make the news post too long, since it already is long enough, but a couple of people provided screenshots of unfair matchmakings and Dustin said that the team is looking for ways to fix this. Now I don't know how general or specific "this" is, but at least the team knows that matchmaking can still get improved a lot.